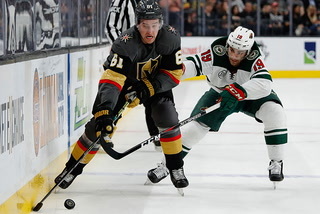 Charlie Coyle scored with 5:31 to play to lift the Minnesota Wild to a 4-2 win over the Golden Knights at T-Mobile Arena on Monday. 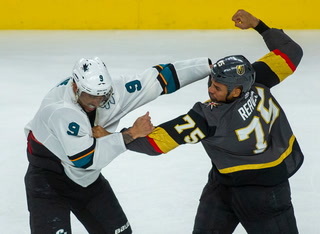 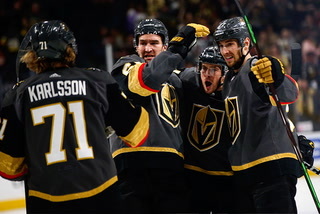 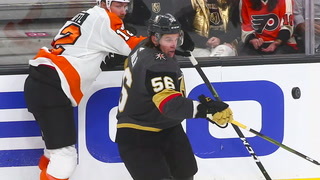 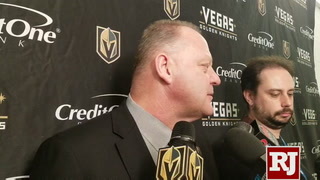 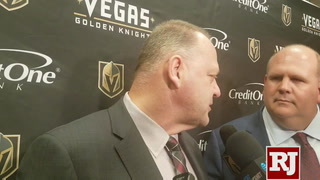 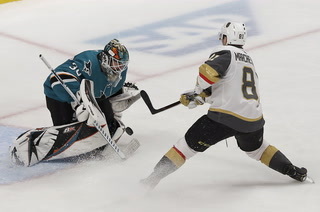 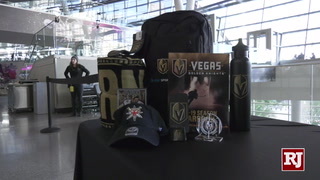 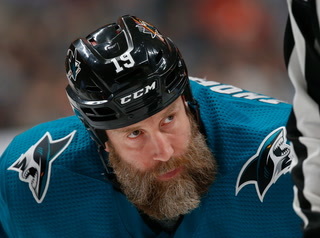 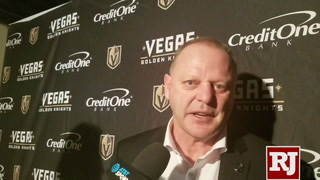 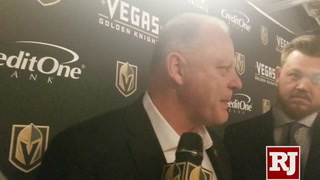 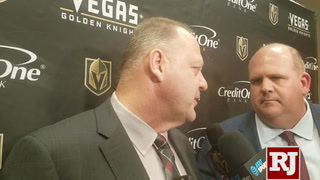 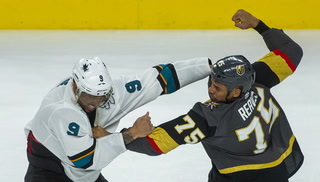 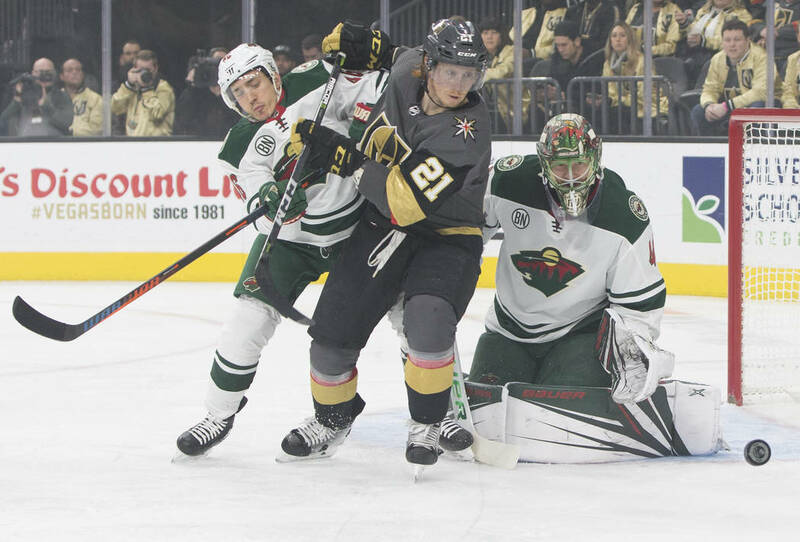 Mikko Koivu added an empty netter in the closing seconds to hand the Knights (29-18-4) their third loss in five games. 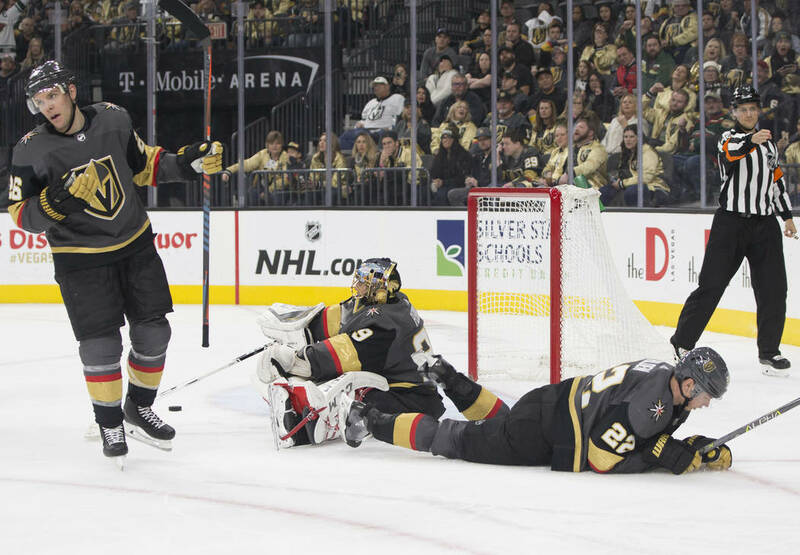 The Golden Knights aren’t alone in their struggles with 5-on-3 power plays. 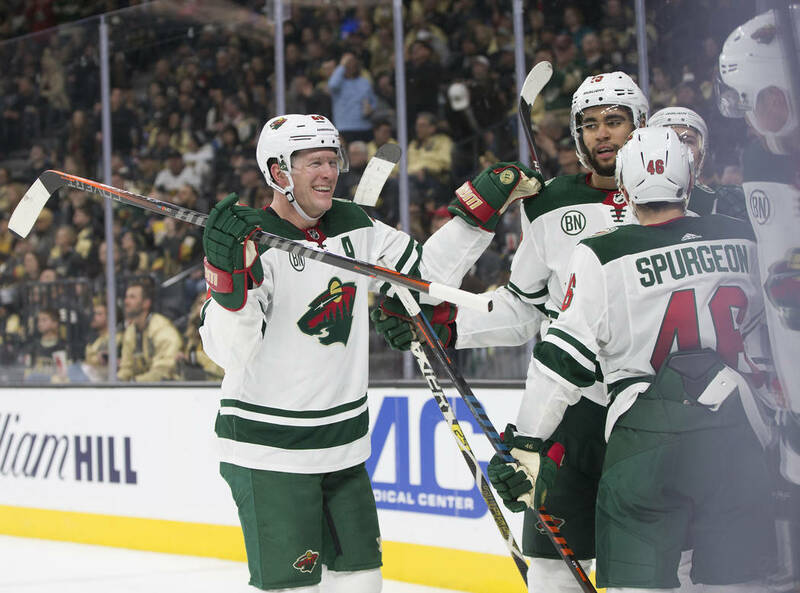 Entering Monday, 13 other teams had not scored with a two-man advantage, either. 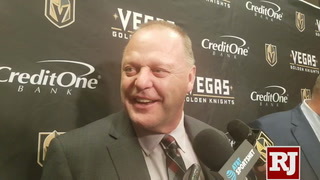 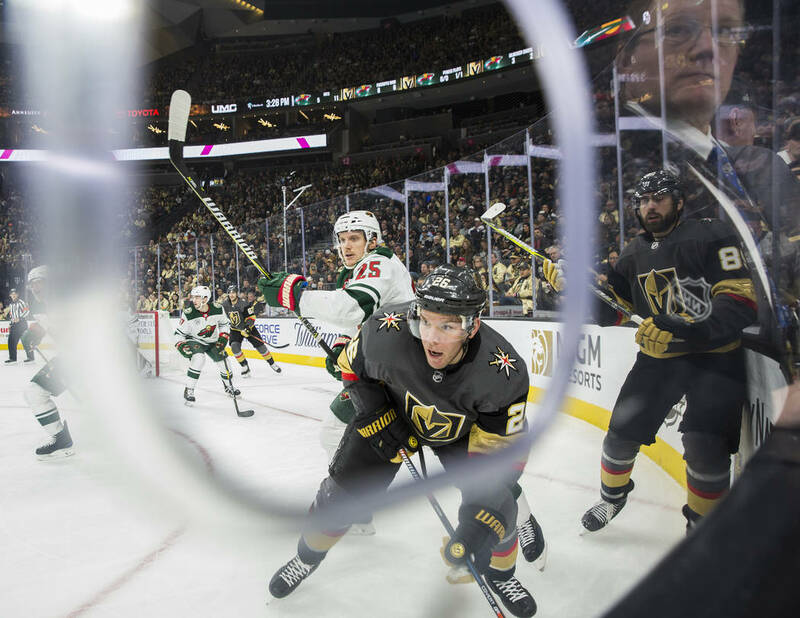 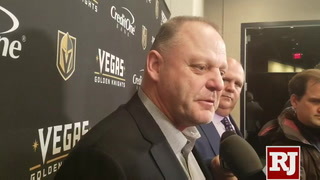 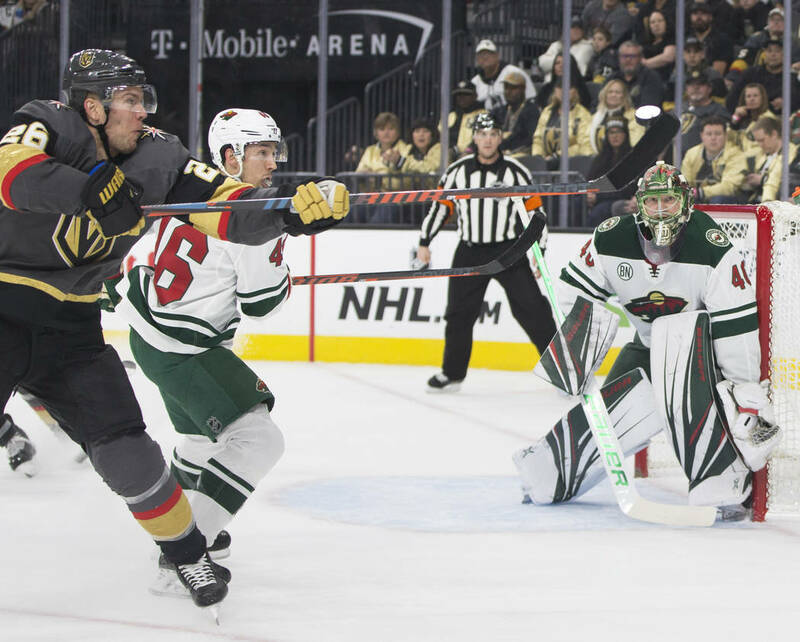 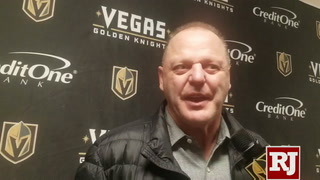 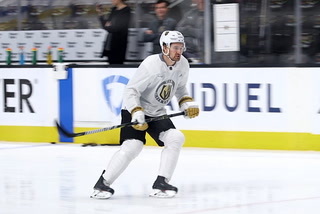 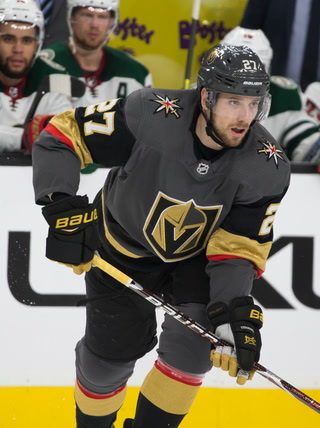 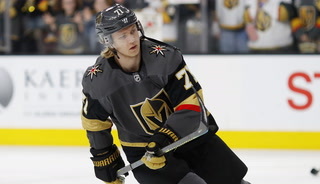 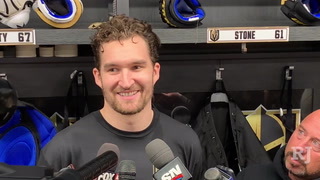 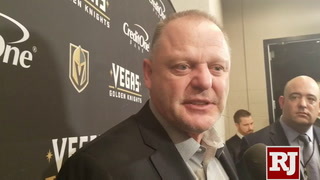 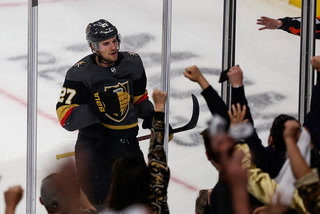 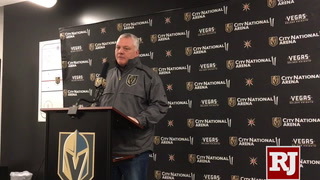 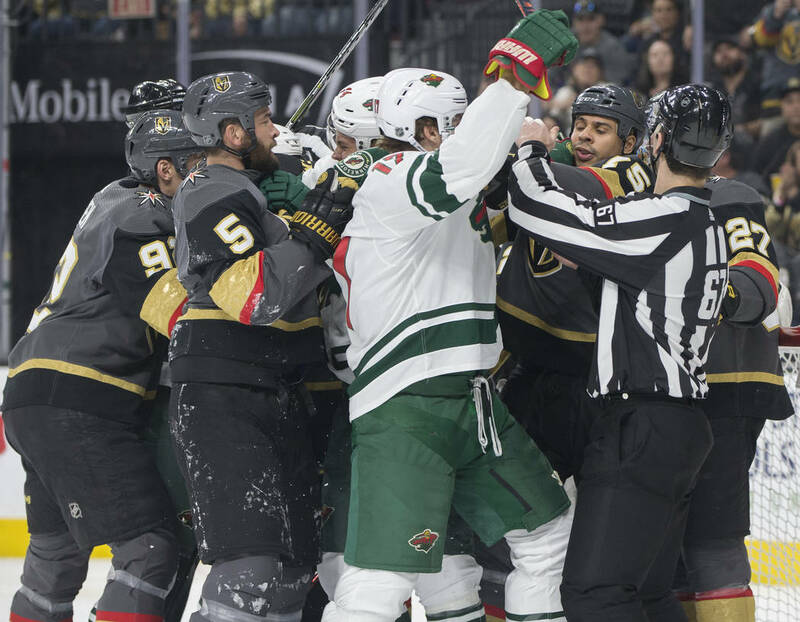 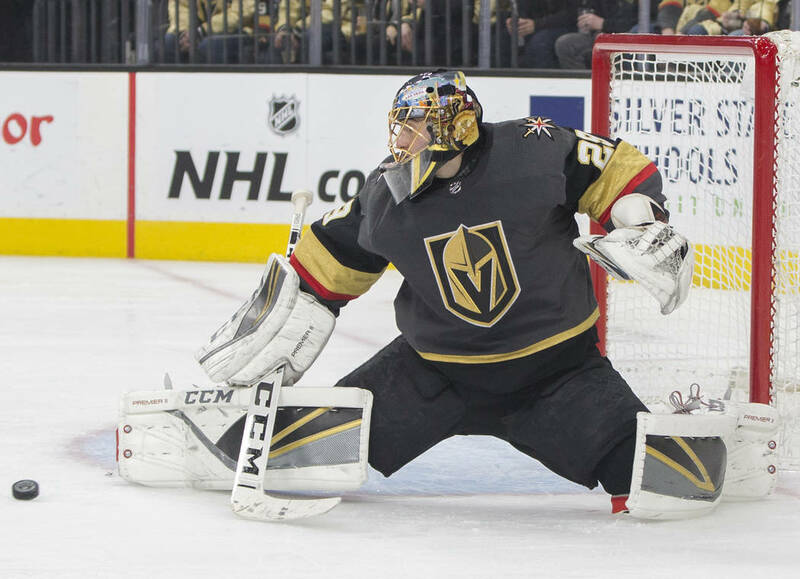 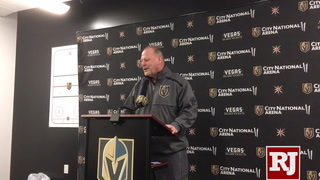 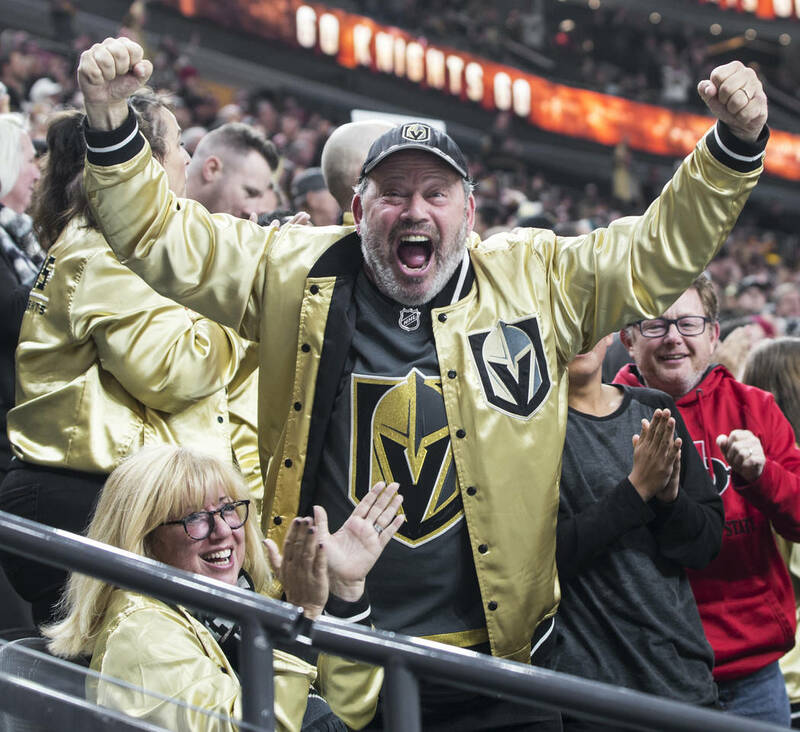 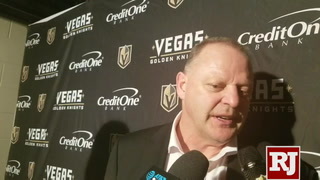 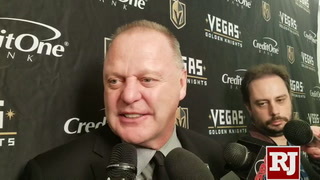 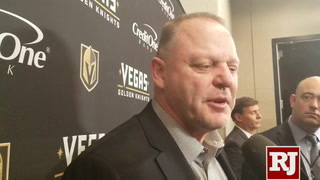 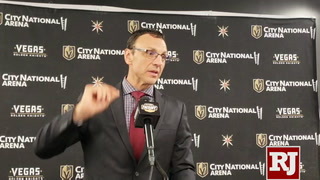 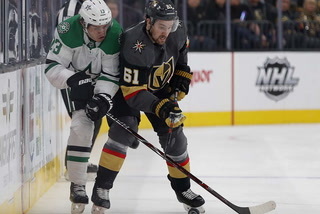 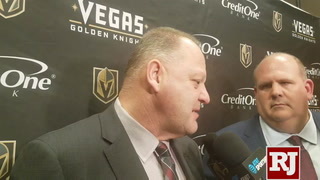 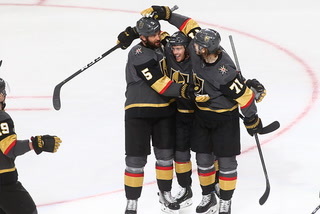 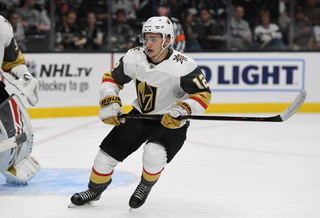 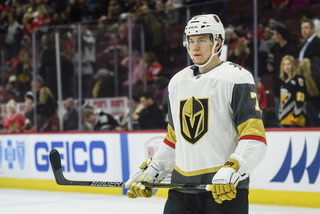 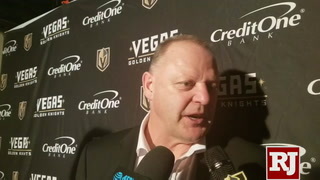 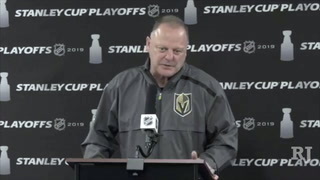 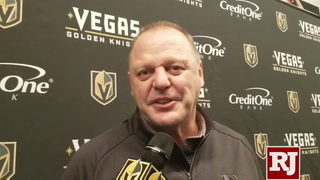 But the Knights’ issues with 5-on-3s were magnified again Monday when they couldn’t convert early in the third period of a 4-2 loss to the Minnesota Wild at T-Mobile Arena. 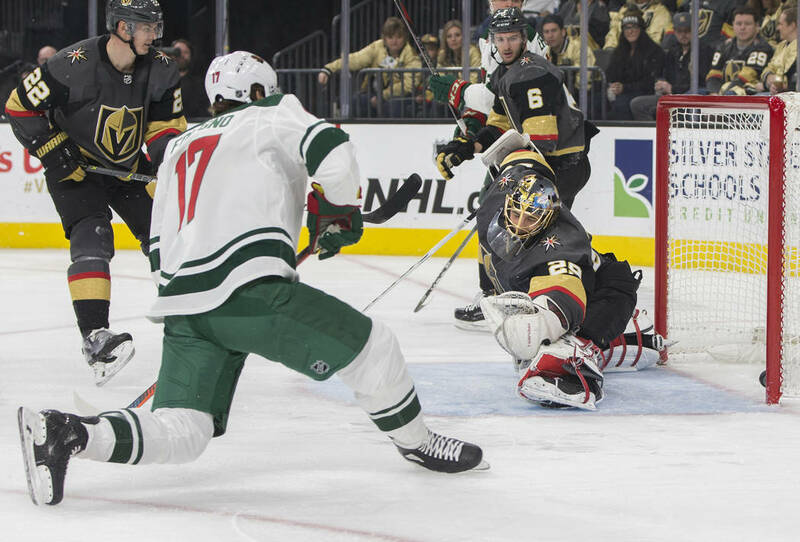 The Knights were unable to capitalize on a two-man advantage in a loss at Winnipeg on Jan. 15, and generated one shot on goal during 1:11 of a 5-on-3 with an opportunity to take the lead against Minnesota. 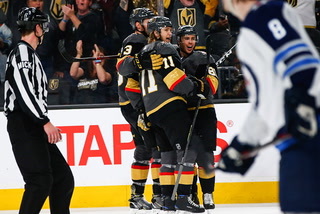 They’ve had 4:47 of 5-on-3 time on four opportunities this season and are yet to convert. 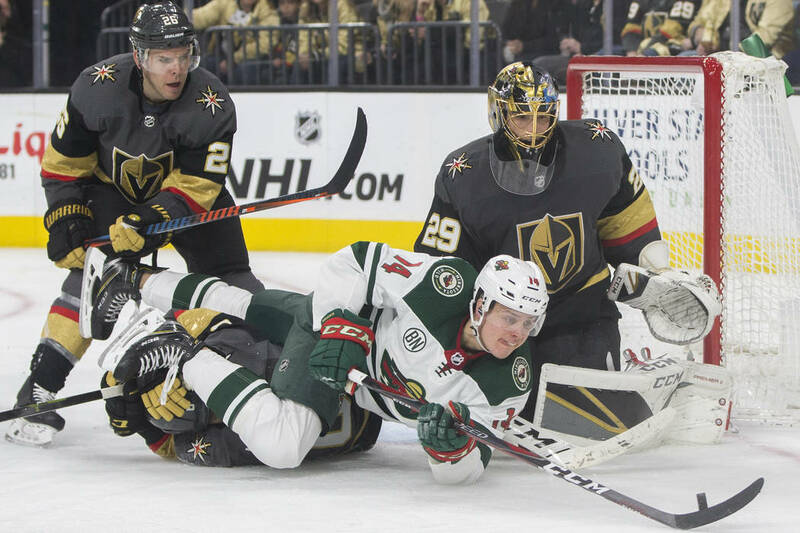 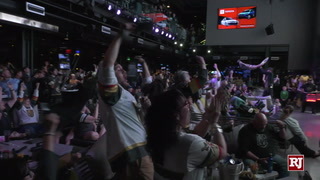 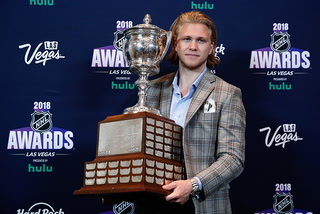 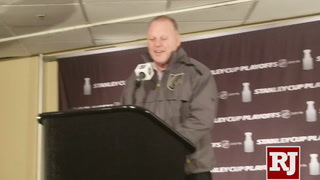 Minnesota held the Knights without a shot on goal for more than 10 minutes of the third period and went ahead with 5:31 remaining when Charlie Coyle tapped in Jared Spurgeon’s pass at the back post. 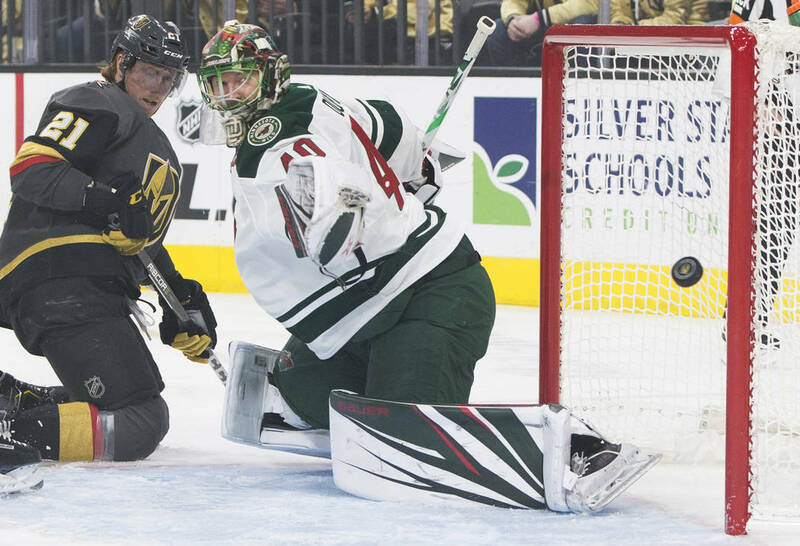 Mikko Koivu added an empty-net goal, which was the 200th of his NHL career. 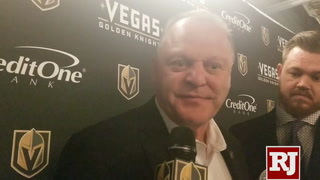 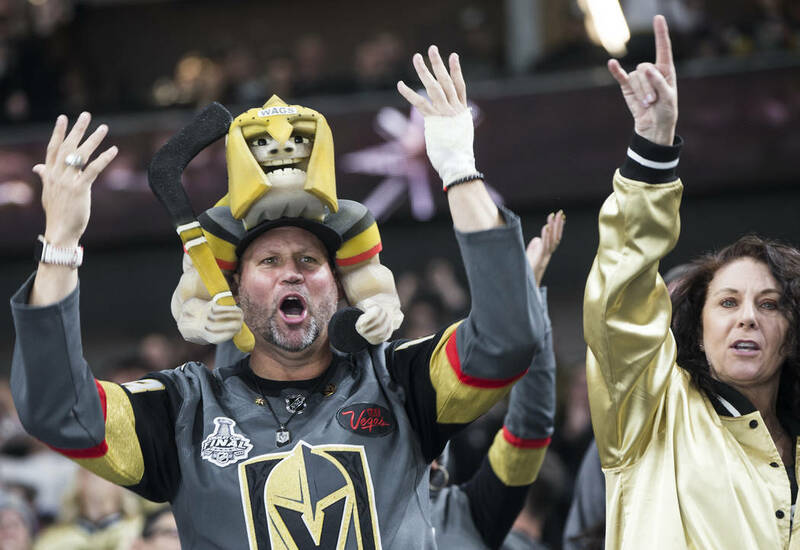 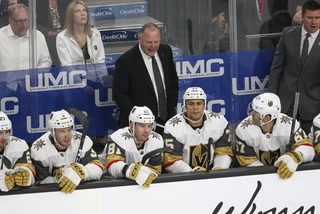 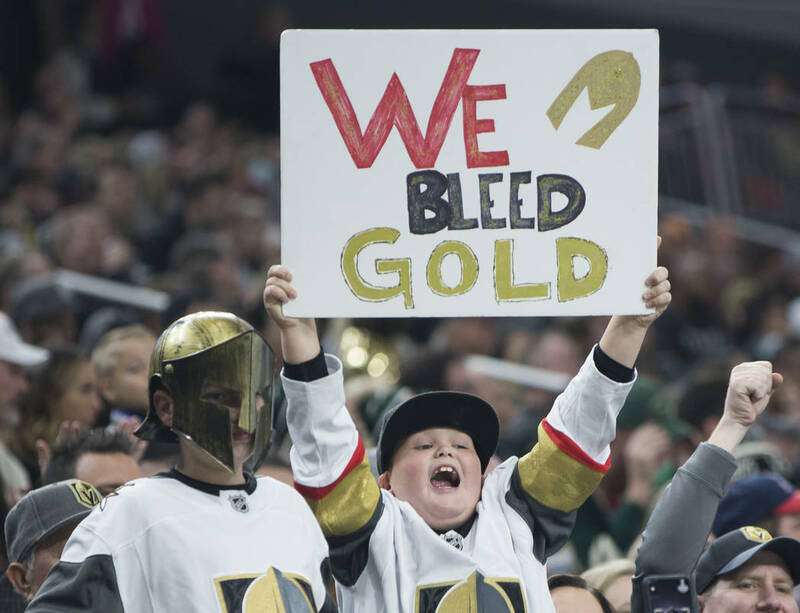 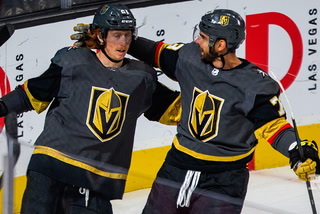 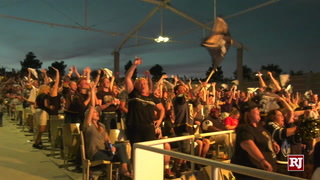 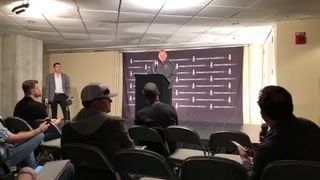 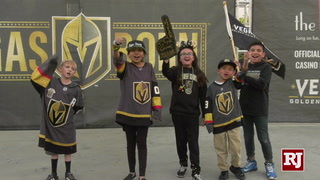 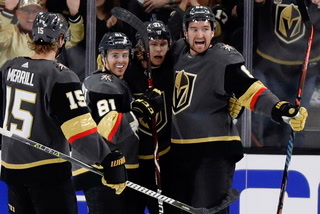 It was the third loss in the past five games for the Knights, who fell to 16-5-3 at home and missed out on their 30th victory in front of an announced crowd of 18,328. 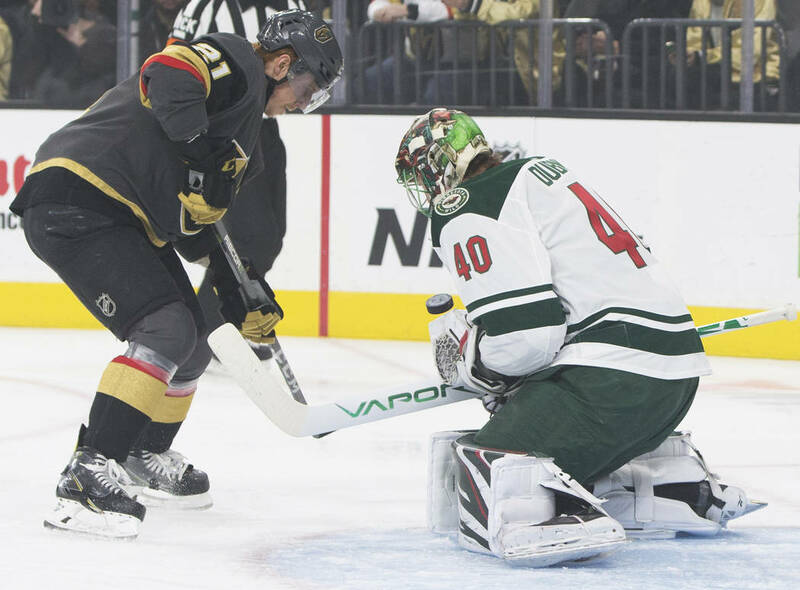 The Wild are 4-0-1 all time against the Knights. 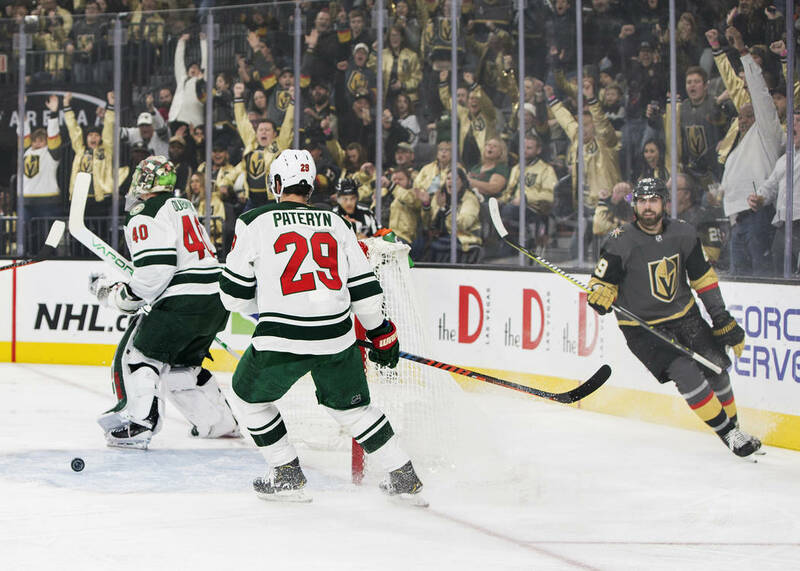 The Knights were coming off an action-packed victory over Pittsburgh on Saturday, but remained winless in four Monday games. 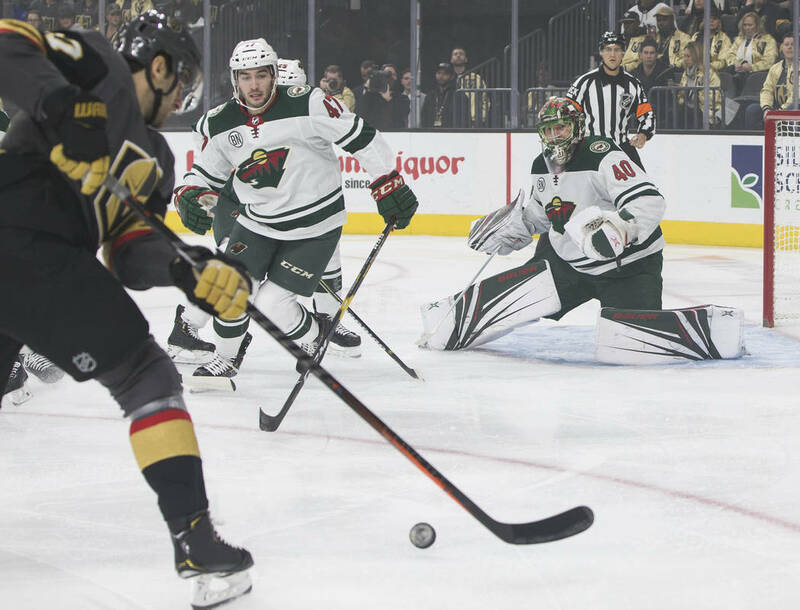 Tuch tallied his career-high 16th goal on a power play less than four minutes into the first period, and Max Pacioretty ripped a one-timer past Wild goaltender Devan Dubnyk (30 saves) to tie the score 2-2 with 7:22 remaining in the second period. 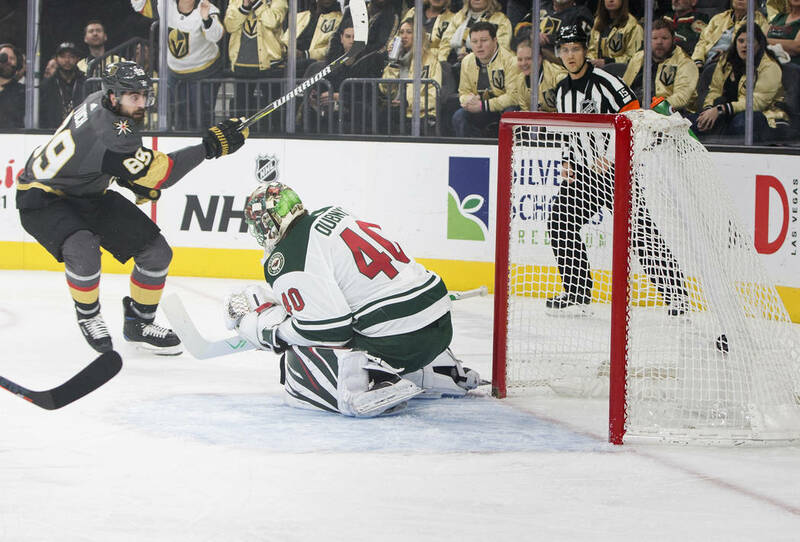 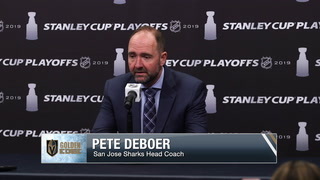 “I felt like we had some opportunities to go up and feel better about the game and come one bounce short and we’re on the losing end of it,” Pacioretty said. 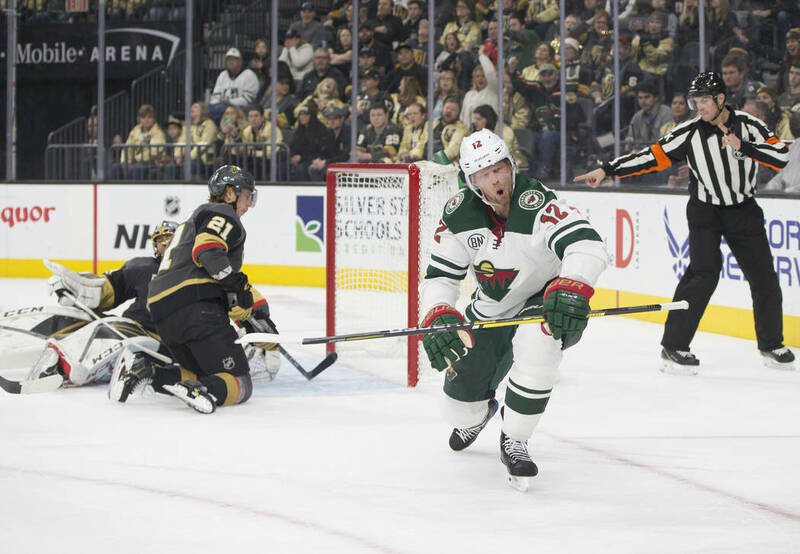 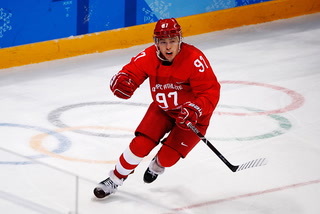 Following a lackluster first period that saw the teams combine for 11 shots on goal, Minnesota scored two goals 1:13 apart midway through the second period. 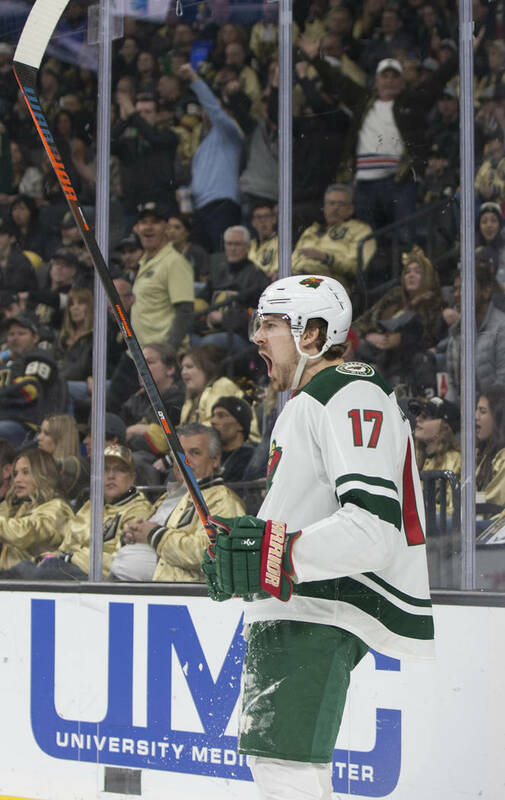 Marcus Foligno converted Joel Eriksson Ek’s feed from behind the net at 9:09 before Eric Staal put the Wild ahead 2-1 when he was left alone at the back post and banged in Jordan Greenway’s pass. 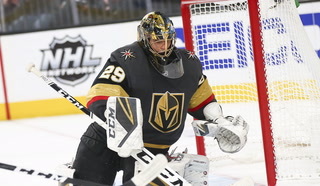 Knights goaltender Marc-Andre Fleury finished with 18 saves on 21 shots.